Is Diageo plc (ADR) (DEO) A Good Stock To Buy? 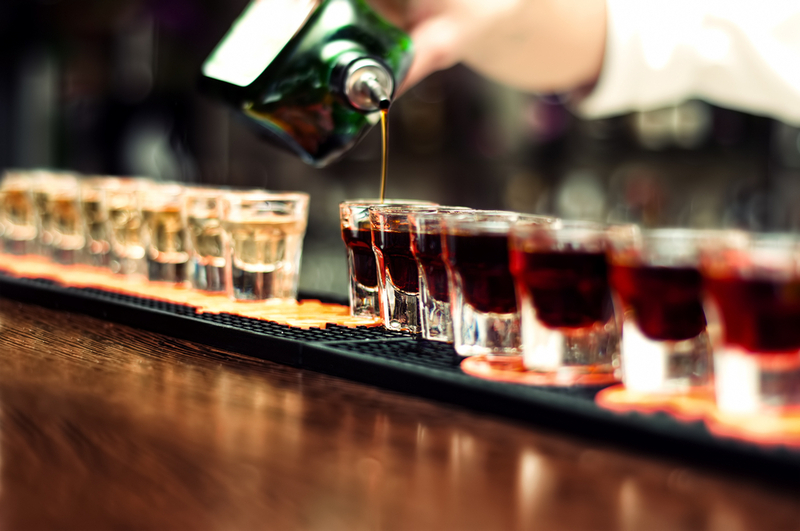 In this article, we are going to take a look at the hedge fund sentiment towards Diageo plc (ADR) (NYSE:DEO). The company was included in the 13F portfolios of 16 funds tracked by Insider Monkey at the end of September. 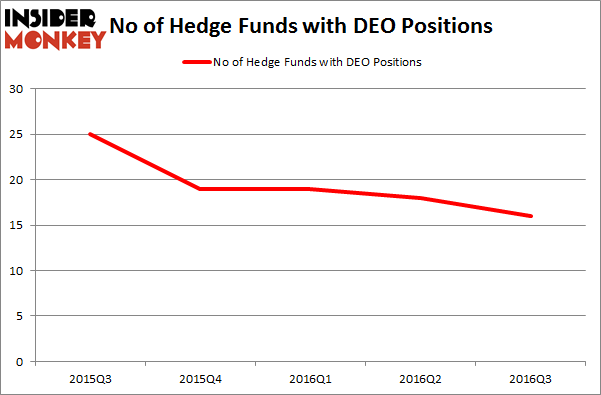 DEO investors should be aware of a decrease in hedge fund interest as there had been 18 funds bullish on the company a quarter earlier. At the end of this article we will also compare DEO to other stocks including Reynolds American, Inc. (NYSE:RAI), Celgene Corporation (NASDAQ:CELG), and AstraZeneca plc (ADR) (NYSE:AZN) to get a better sense of its popularity. How have hedgies been trading Diageo plc (ADR) (NYSE:DEO)? Heading into the fourth quarter of 2016, a total of 16 of the hedge funds tracked by Insider Monkey were bullish on this stock, which represents a fall of 11% from the second quarter of 2016. Below, you can check out the change in hedge fund sentiment towards DEO over the last five quarters. So, let’s check out which hedge funds were among the top holders of the stock and which hedge funds were making big moves. When looking at the institutional investors followed by Insider Monkey, Peter Rathjens, Bruce Clarke and John Campbell’s Arrowstreet Capital has the biggest position in Diageo plc (ADR) (NYSE:DEO), worth close to $398.2 million, amounting to 1.3% of its total 13F portfolio. Coming in second is Tom Russo’s Gardner Russo & Gardner, which holds a $268.5 million position; the fund has 2.2% of its 13F portfolio invested in the stock. Some other professional money managers that hold long positions consist of Tom Gayner’s Markel Gayner Asset Management and Mario Gabelli’s GAMCO Investors. We should note that none of these hedge funds are among our list of the 100 best performing hedge funds which is based on the performance of their 13F long positions in non-microcap stocks. Is 2U Inc (TWOU) A Good Stock To Buy? Hedge Funds Are Selling Concordia International Corp (CXRX) Is Tobira Therapeutics Inc (TBRA) A Good Stock To Buy? Is Cohu, Inc. (COHU) A Good Stock To Buy Right Now? Is Bottomline Technologies (EPAY) A Good Stock To Buy? Is Cryolife Inc (CRY) A Good Stock To Buy?